"I found a vicious rhythm," the 34-year-old said after the stuffing session. "I was feeling good today." 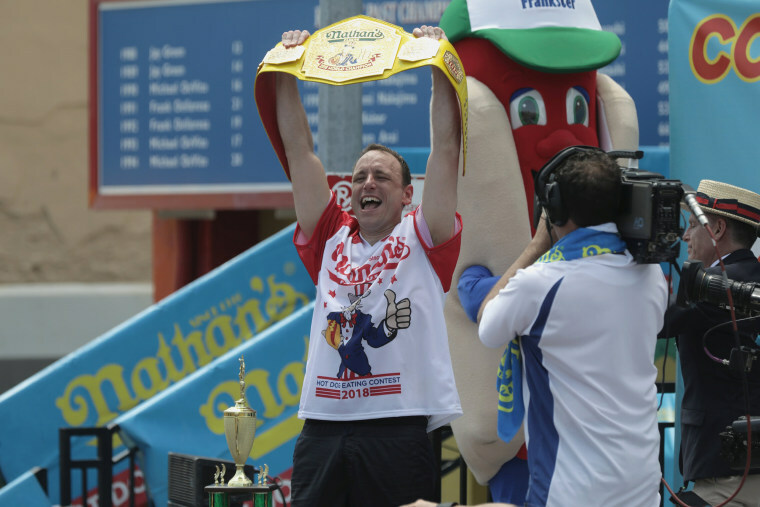 Joey "Jaws" Chestnut extended his reign as champion eater at the Nathan's Famous July Fourth hot dog eating contest Wednesday, downing a record 74 wieners and buns in 10 minutes to take home the coveted Mustard Belt for an 11th time.